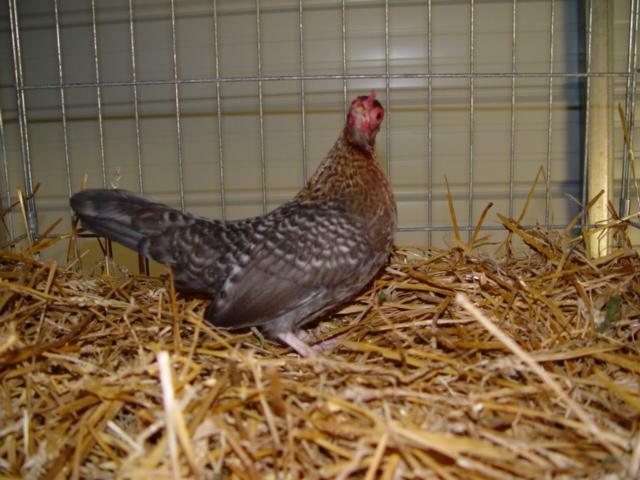 [FONT=times new roman,times]Recently I decided to try my hand at raising some Old English Game show birds for the local fairs and shows. 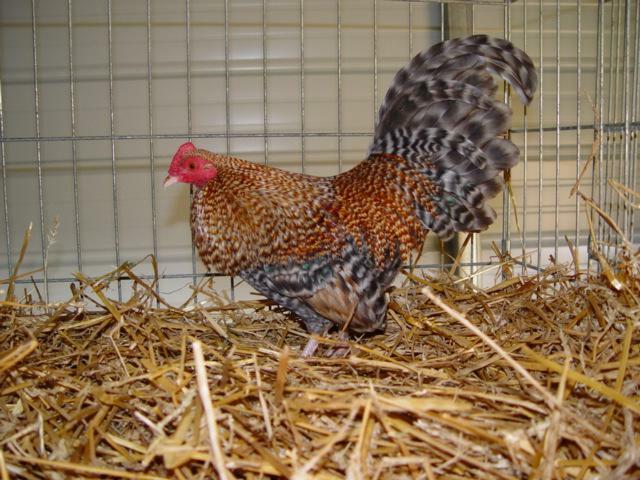 While my primary interest is in the larger American Game Bantams there is one or two breeds of OEGB's that appeal to me. I really like the Black Breasted Red OEGB (BB Red) and the Crele. 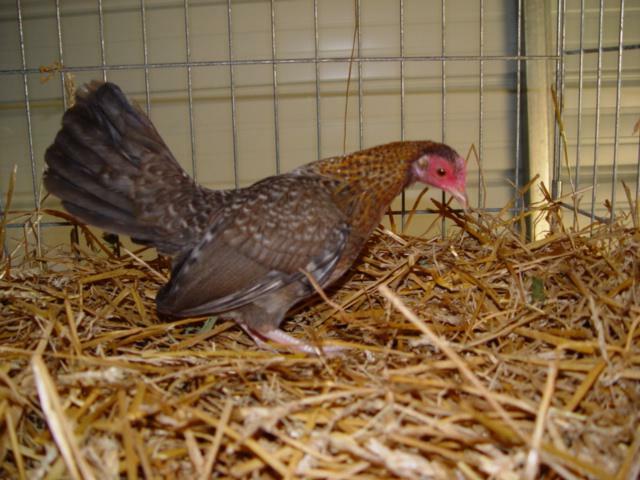 So, I've taken steps to set up a breeding program and will share that with you on this page. The first thing I had to accomplish was to build a brood pen that would house a trio (2 hens, 1 rooster) or maybe even a quad (3 hens, 1 rooster). While researching smaller coop designs here on BYC and elsewhere on the net I found one that looked like it would work for me with some modification, here's what I came up with. The photo on the left is the first one I built. 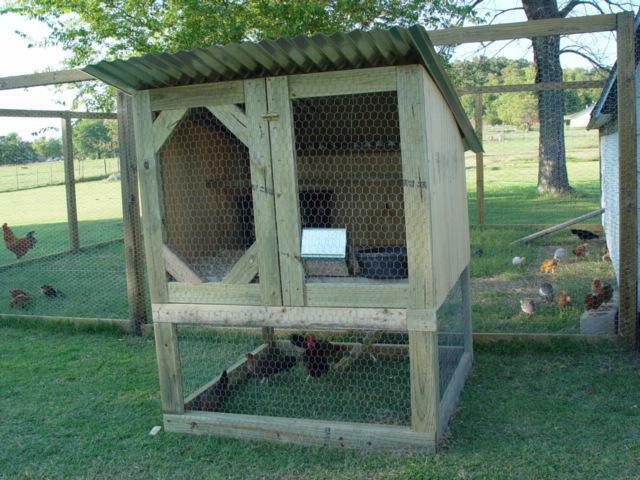 As you can see it's an over/under design with the coop on top and the run below. The footprint is a 4 x 4 square, the front is 5 foot tall and the rear is 4 foot tall. 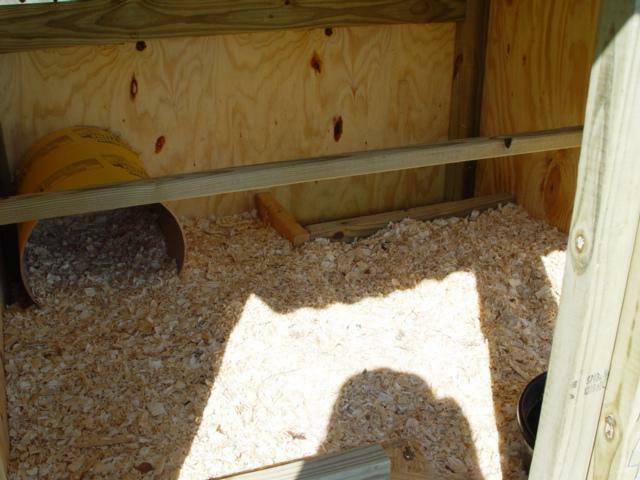 In the floor of the coop, in the right rear corner there is a 12 x 18 inch hole cut into the floor and a ladder leads from the upper coop area to the under run area. I suppose I could have put access doors on the run area but I didn't really see any need for them, if I need access to the birds I just wait until dark and take them off the roost. All of the framing is done with treated 2 x 4 x 8's cut to size, the plywood is your standard 3/8ths thick 4 x 8 foot sheets. The roof is 3 sheets of 6 foot long barn tin. 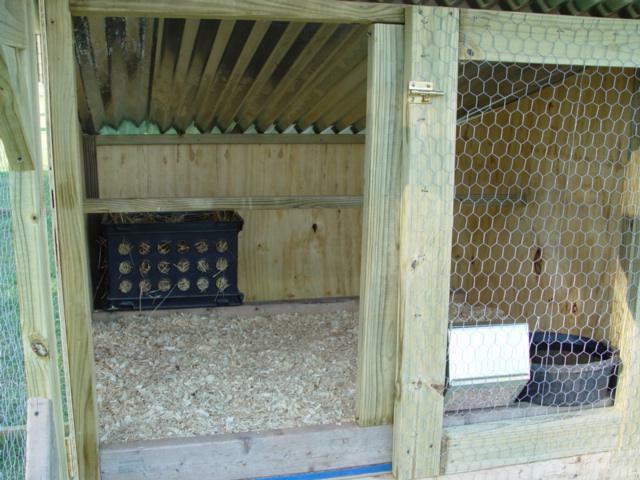 In the photo on the right you can see that I have winterized a second brood pen by covering the coop doors with plywood. These two photos show the inside of both coop areas. 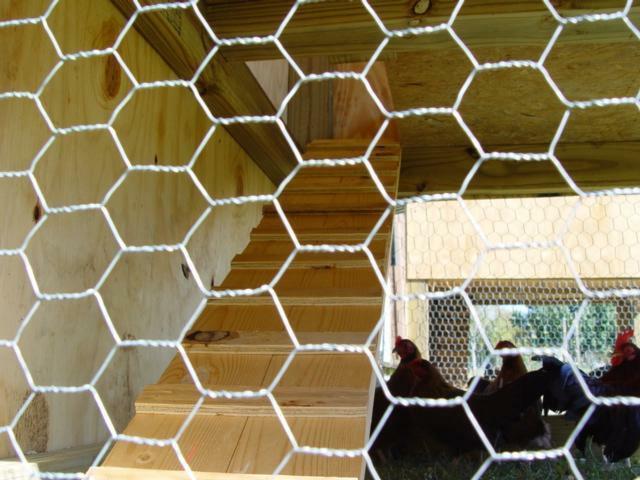 In the photo on the left you can see the access hole in the floor which allows the chickens a way to and from the run. 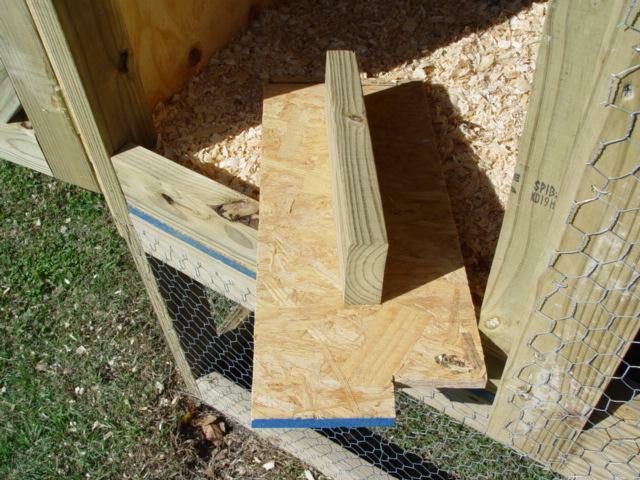 Also notice that the hole is framed with 2 x 4, as is the front of the coop, which allows me to put 3 1/2 inches of shavings in the coop area for bedding. In one I used a piece of sonotube for a nest box in the other I used a plastic box I bought at WalMart, both work just fine. 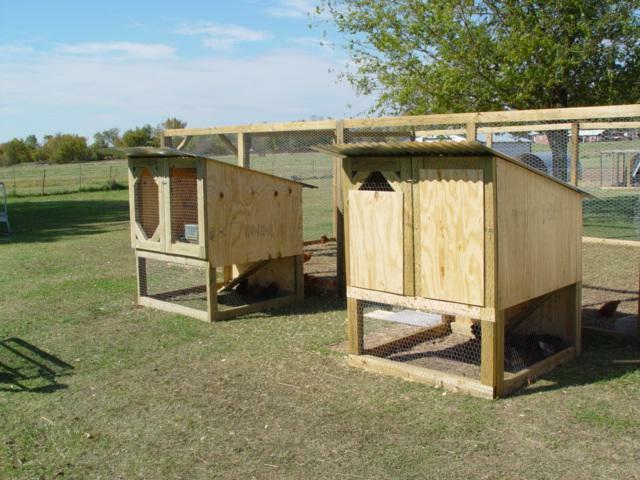 The roost in both is made from 2 x 2, and you can see the feeder and water bowls that I use. 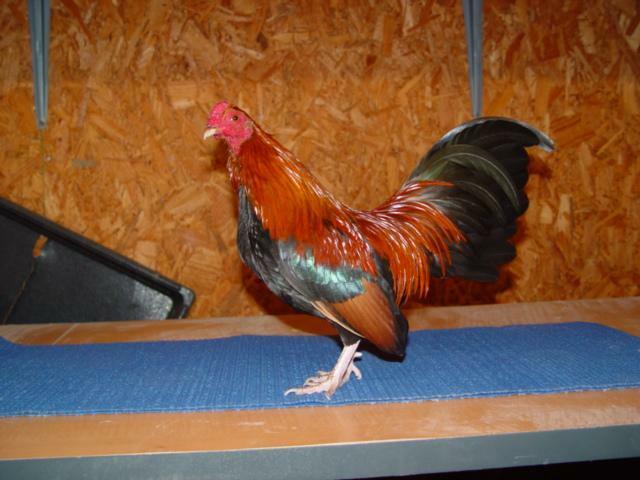 So my next step was to find some decent chickens to start my breeding program with. I asked for some advice here on BYC and was told that I should try to find the best birds that I could as in the long run this would save a lot of time and money. 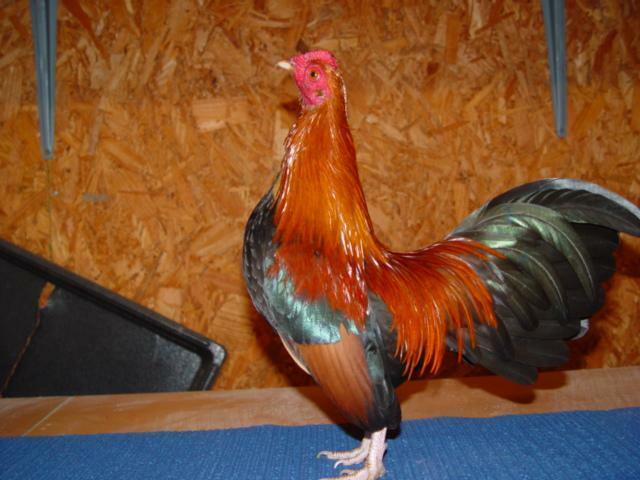 I watched one of the auction sites for a few weeks and noticed that the Andy Barnes line of BB Reds seemed to be very popular, ran a few Google searches and found articles showing Andy and his birds winning at shows in and around Oklahoma, and just as important these birds seemed to sell in a price range that I was comfortable with. Eventually I bought a pair of these birds. Trying to take photos of these birds was kinda tough! Seems they are so tame that every time I opened the door to the coop they would both come walking over to me wanting to be picked up!! 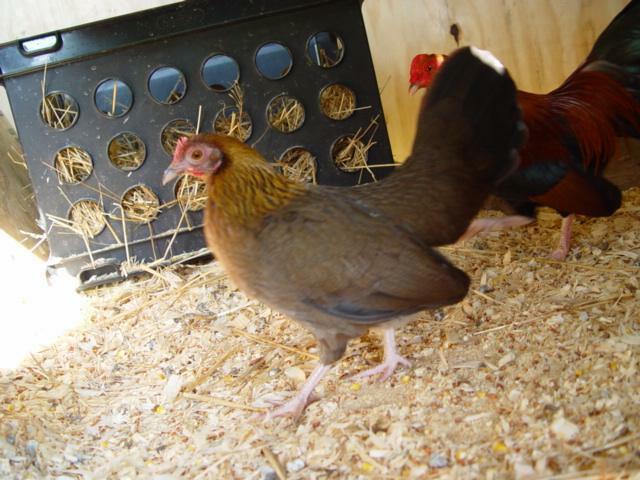 As soon as I can I will change out the following photos for better ones, but here is what I have right now, these are my Andy Barnes bloodline Black Breasted Red OE Game Bantams. At the show in Shawnee Oklahoma on Dec 12th 2009 I found a real nice trio of Crele OEGB & bought them. 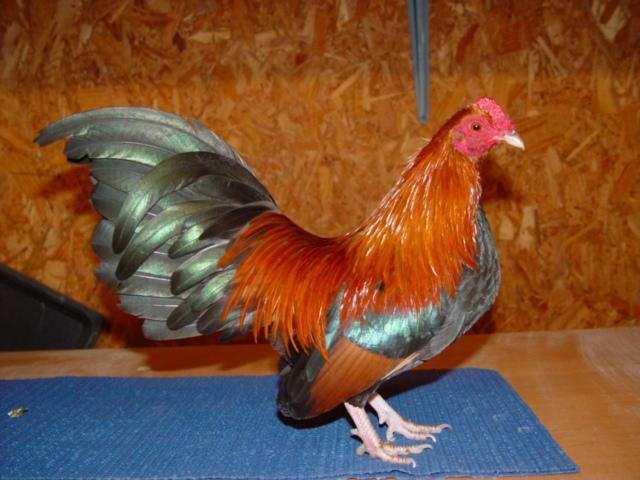 These are from Heads-Up Bantam Farm and are Dwight Madsen's bloodline. Here are some photos. Hope you've enjoyed your visit, please PM any questions or comments. Thanks for stopping by! I am just getting into OEGB's. I picked up a pair of silver duckwings at a local auction. I named them Little Mic and Soffie. Soffie went broody quick and left little mic by himself. Poor little guy was super lonely. 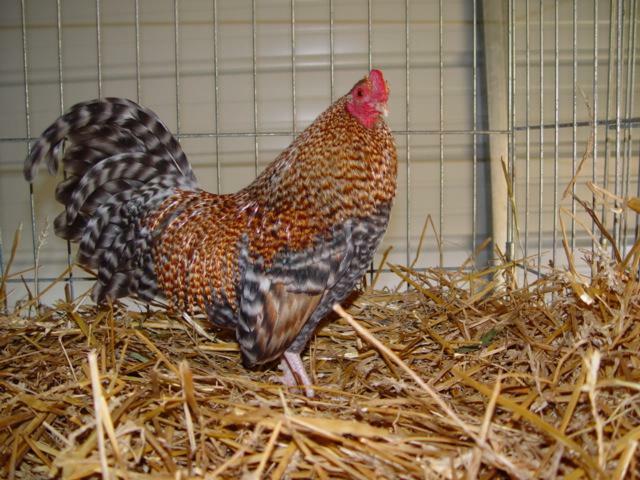 When the auction opened up again I purchase 4 hens. 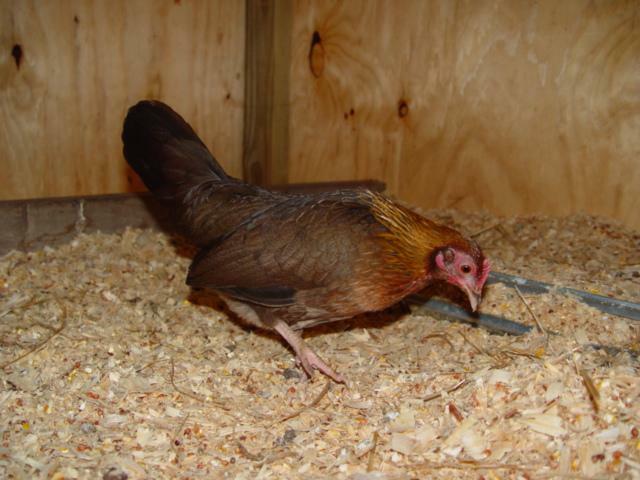 1 is black, 1 is black with some gold splash around the neck, and the other 2 look a lot like your hens. Maybe a little more on the gold side. Mic was ecstatic when he met his new hens. He has a nice little group, all different colors. It will be interesting to see what develops. I don't think I'll be showing my birds. 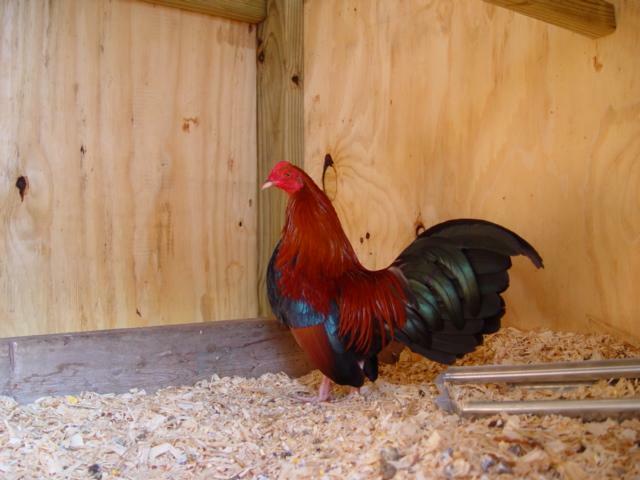 I really like the look of the un-dubbed roosters. I live in central Texas so frost is not a problem. Im just now starting to study the breed and all the different colors you can get by mixing the gene pool. I think I can make a Fawn silver duckwing with what I have. Pretty fun little chickens.